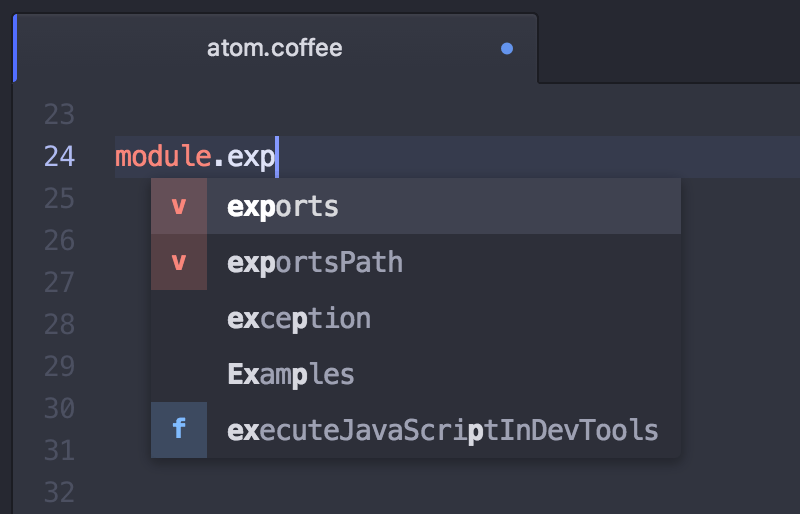 If you're still looking to save some typing time, Atom also ships with simple autocompletion functionality. The autocomplete system lets you view and insert possible completions in the editor using Tab or Enter. By default, the autocomplete system will look through the current open file for strings that match what you're starting to type. If you want more options, in the Settings panel for the autocomplete-plus package you can toggle a setting to make autocomplete-plus look for text in all your open buffers rather than just the current file. The Autocomplete functionality is implemented in the autocomplete-plus package.